Last summer my kids learned a lot from Sid the Science Kid when we reviewed 2 of Sid's DVD's, The Bug Club and Change Happens -- and this summer looks like it could a Sid Summer too. We received another Sid DVD earlier this year -- Weather Kid Sid -- which my kids really enjoyed, a new Sid the Science Kid episode premiered recently, and more new episodes are slated to arrive in the fall! I love how Sid and his friends tackle new problems and make new discoveries with every episode, and teach preschoolers how much fun it can be to learn. Rain, rain, go away; Sid the Science Kid wants to play! Sid s not too happy when rain threatens to squash his play date outside. But the more Sid learns about the rain, the more he understands how important precipitation is. In fact Sid is learning about all kinds of weather patterns and how it affects our world. At school Sid studies the sun and how it lights up our world. At home, Sid s family visits relatives where it s really chilly. Brrrr! It s cold in here... Sid hits the science lab to discover that wind, rain and sun can be fascinating and fun! The show debuted on June 21; check your local PBS listings for replay dates. Summertime is pool time, and my kids are enjoying the water more than ever! They love swimming and splashing around, and their visits to the pool are even more enjoyable when they have some pool toys with them -- dive sticks, noodles, squirt cannons and floaty rings. Our latest fun summer toy is the SpongeBob Squarepants Digital Underwater Camera, which we were actually sent to review all the way back in March, but haven't had a chance to use until this month. What a shame -- to think we could have been enjoying it all this time! The Spongebob Squarepants camera is a real working digital camera that comes with a waterproof case. It can be used in or out of the water (the case is waterproof up to 30 feet). The camera can take up to 152 low resolution digital photos, or up to 26 high resolution digital photos. 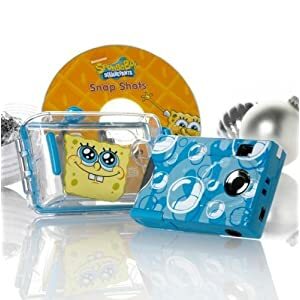 It comes with a USB cable and the Spongebob Squarepants Snapshots software program, which lets kids download their photos to the computer and add frames, text and stickers to them. 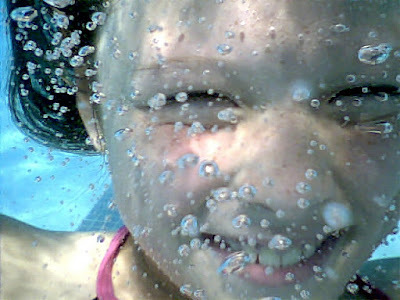 Use your Spongebob Squarepants Underwater Digital Camera to take awesome photos! Take up to 152 photos either underwater or above water! This camera is waterproof up to 30 Feet and is great for kids! Features an adorable SpongeBob Squarepants on the water proof case, and the camera has bubble designs all over. How fun is this camera? Everyone loves taking underwater shots, so the kids were falling all over each other to take photos and to pose. I have to admit, I'm having as much, if not more, fun with the camera as my kids. The quality of the photos is, surprisingly for such an inexpensive camera, quite good, especially the high resolution photos (These photos are all taken in the high-res mode. They are 640 x 480 pixels and 96 dpi). We were all thrashing around in the water while these photos were taken, so I was half-expecting a series of blurred photos, but see how clear they came out! 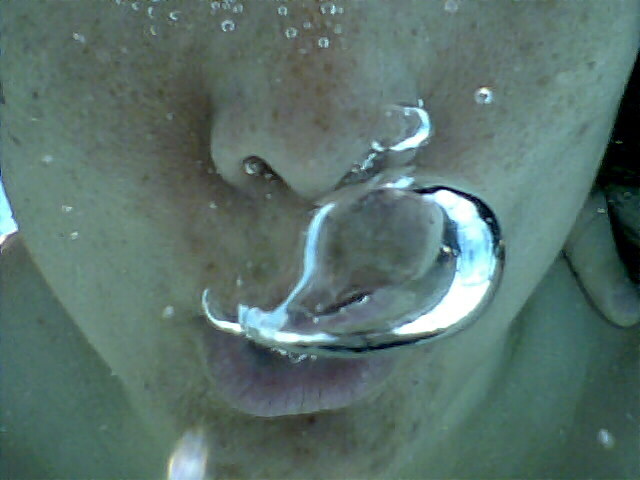 Even the bubbles were crystal clear. The fun doesn't stop in the pool. The camera also takes decent photos out of the water, and the included software lets kids add Spongebob-themed borders, captions and stickers to their photos. Best of all, it's light and inexpensive, so you don't have to worry too much about getting it scratched or banged about. You don't even have to worry about getting it wet! The main limitation of this camera is the lack of a preview window, so kids have no idea what their photos will look like until they download them. The tiny viewfinder becomes even more of a problem to see through when you take photos underwater -- and there's that little matter of having to hold your breath, so you can't take your sweet time when shooting. I didn't have goggles on, so holding the camera up to my eye was useless. I ended up just holding the camera in front of me and shooting blindly, so many of my shots were of tummies and tops of heads and eyes. Also, there are 2 buttons on the camera -- one to turn the thing on and to change mode (i.e. resolution, delete photo, delete all, power off/on, etc..), and another to take photos and to make selections when in certain modes. 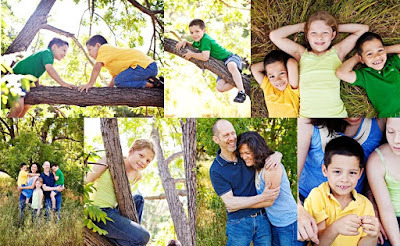 The basic point-and-shoot function is pretty easy to remember -- press one button to turn the camera on, and the other button to take photos -- so kids can use it without too many problems. But it's way too easy to forget how to switch from low-res to high-res, or to delete photos, or to delete all photos. My kids often click on both buttons indiscriminately and have inadvertently erased all the photos they took! So I do wish some basic instructions were printed on the camera itself. The Spongebob Underwater Digital Camera is the perfect pool toy for your kids this summer -- it's fun, inexpensive, and easy to use! Kids will have a blast using it in the pool! Win $1,000 on my Crystal Light series of posts on BlogHer! Just a reminder that I'm hosting a $1,000 giveaway on BlogHer! From now until August, I'll be putting up two posts a month on BlogHer's special offers page talking about ways to water your body (and feed your soul). If you leave a comment on any of these posts, you'll be entered to win $1,000 courtesy of Crystal Light. The post also has links to other Crystal Light bloggers who are sharing their own tips and giving away $100 Visa gift cards. Click here to get to my latest Crystal Light post and enter to win! I've been blogging about American Girl dolls for a long time, and my posts have ranged from whiny to defensive to humbled to crafty to excited to happy. Now I'm adding "meaningful" to that list. I am incredibly excited and honored to be working with American Girl to spread the word about their new charitable initiative -- the Shine On Now™ program -- and encourage all the American Girls out there to participate. Starting July 13, American Girl's Shine On Now™ program will allow girls to log on to a website and donate 1-100 virtual stars each day. It doesn't cost anything to sign up for the program, and donating a star is free. For each star donated, American Girl will donate $1 (up to $1 million total in clothes, books, dolls and money) through July 31, to 4 designated charitable organizations. Isn't that great? I love the way they have structured this program because it gives girls a way to contribute to a great cause. Girls aren't asked to donate their own money, just a little bit of time and effort. American Girl could easily have just donated the money outright, but they are empowering girls and making them feel like they are doing their part. I think parents will agree with me that this is a great learning opportunity for their daughters and a wonderful way to get children started with helping their community. Making a difference couldn't be easier, and The Pea and I can't wait for the program to start! To celebrate the launch of Shine On Now™ and Innerstar University™, American Girl is generously providing one new American Girl doll to give away! the Can you believe it?? One luckyluckyluckylucky Bonggamom Finds reader will win a new American Girl doll. Leave a comment on this post and nominate a special girl in your family or community who you think deserves to win this American Girl Doll, AND write about why she deserves this doll -- share with us what kinds of activities she is involved in, how she helps others, etc..... This entry must be completed before any extra entries will count. 1) Follow Bonggamom Finds on Blogger(1 entry). 6) Leave a link to this giveaway (http://tinyurl.com/2ewj5dv) on any giveaway linky, sweepstakes blog or sweepstakes forum (1 entry each time you leave a link, pls. leave a comment here and paste the URL of the post you left the link on). Starting July 13, watch out for my American Girl Shine On Now post #2. You'll be able to gain more extra entries and log them on that post to increase your chances of winning this wonderful prize! This giveaway ends at midnight PST on July 31, 2010; I will draw the winner at random on August 1, from the list of eligible entries on my American Girl Shine On Now post #1 and post #2. Winner has 48 hours to respond to my tweets or emails notifying them of their win; otherwise, an alternate winner will be selected. I will post the winner's name in the comments section after he/she confirms acceptance. For additional giveaway rules, click here. Good luck! Disclosure: I will be receiving an American Girl doll as a thank-you for participating in this campaign, but was not paid to review the product, administer this giveaway, promote the program or give my opinions. Product information is provided by the featured company/product and is clearly indicated as such. The views and opinions expressed here are my own. When I think about National Geographic, I think about gorgeous photos. To have a photo of mine published in National Geographic would be a crazy fantasy -- but amazingly, I could actually win that honor, and so could you! Energizer's Ultimate Photo Contest is happening right now, and the winner will be featured in an Energizer ad in December's issue of National Geographic. And in case you're thinking you don't have a chance, you should know that one of last year’s winners was shot by a zoo employee on a regular point-and-shoot camera! There's no question about one thing: To get the best shot, you need the best equipment. That's where Energizer comes in. Energizer® Ultimate Lithium AA and AAA batteries are the world's longest lasting batteries in high-tech devices. They last up to eight times longer than Energizer® MAX® in digital cameras (results vary by camera)-which means you can take your mind off your batteries and focus on capturing that winning photo. Entries are accepted until June 30, so hurry and give it your best shot! Disclosure: I will be receiving a Canon camera bag and Energizer products as a thank-you for posting about this contest. I was not paid to post about the contest or review the product or give my opinions. Information is provided by the featured company/product and is clearly indicated as such. The views and opinions expressed here are my own. What's summer without a party? Next week I'm hosting a another Twitter party, and it's a bongga one, combining two of my favorite things -- summer and saving! WhiteFence.com, an online search-and-save service, will be sponsoring a Twitter party to celebrate summer and all the ways that families can save on their bills this summer. We'll be talking about the fun ways to enjoy summer and how to save on them -- as well as giving away some fabulous prizes. WhiteFence is a free service that allows users to enter their address and find a price comparison of energy, cable, internet, and phone offers, specific to their area -- perfect for families planning to move this summer or who are just looking to make sure they aren’t overpaying on basic utilities. 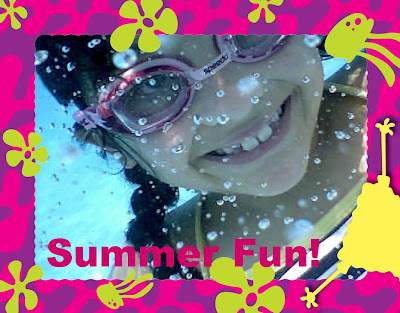 Why: To share ideas on summer fun and summer savings -- and win great prizes! How: Follow the #wfparty hashtag (You can use services like TweetChat or TweetGrid to follow the conversation) -- and don't forget to follow your hosts, @bonggafinds and @whitefence, on Twitter throughout the party for contest details, updates, and prize information. 3 winners will each receive a $25 gift certificate from Target! 1 winner will receive a $50 gift certificate from Best Buy! 1 Grand Prize Winner will receive a $250 gift certificate from Amazon.com! Enter to Win a $25 Target gift certificate! Good luck, and see you at the WhiteFence Twitter Party! The $25 Target giftcard giveaway ends at 3:59 PST (6:59 EST) on June 24, 2010; I will draw a winner at random from the pool of valid entries in the comments section of this post at 7:00PM EST. I will also check to make sure that this person has tweeted at least once between 7:00PM and 8:00PM EST on June 24, 2010 with the hashtag #wfparty. I will announce the winner's name on Twitter at the end of the Twitter Party. Winner has 48 hours to respond to my tweets and/or emails, otherwise an alternate winner will be drawn at random. For additional giveaway rules, click here. Winners for the 2 $25 Target gift certificates, the $50 Best Buy gift certificate and the $250 Amazon.com gift certificate will be drawn from valid twitter accounts tweeting with the hashtag #wfparty between 7:00PM and 8:00PM EST on June 24, 2010. Criteria for winners is at the discretion of the sponsor, @whitefence, and/or the Twitter party host, @bonggafinds, and includes random drawing, trivia question-and-answer contests and Nth-to-tweet races. RSVP on the Mr. Linky list on this post is greatly appreciated, but not required, to be eligible for Twitter party prizes. Sponsor reserves the right to substitute prizes before the start of the Twitter party. Winner has 48 hours to respond to my tweets and/or emails, otherwise an alternate winner will be drawn at random. Disclosure: I am being compensated for my participation in this Twitter party. I did not receive product samples for this post or the party. All prizes are being provided to winners courtesy of WhiteFence. The views and opinions expressed here are my own. Yesterday I posted a list of our family's most wanted games for the Sony PSP. It's no surprise that Petz Dogz Family came at the top of my kids' list -- this game by Ubisoft is from their popular Petz series (the #1 pet simulation series on the market! ), and my kids have been playing with their Petz Nursery, Petz Dogz Talent Show and Petz Hamsterz Superstarz (all on the Nintendo DS platform) for some time now. They really love adopting and caring for all their cute virtual puppies, and I love it because these dogs don't shed or need to be walked every day! In Petz® Dogz Family, players can raise and care for a family of dogs, for the first time on the PSP system! Adopt a pet dog from a variety of breeds, and watch them grow and develop their own unique personalities. Adopt your favorite dog from a wide variety —Choose your pet from popular, well-known breeds. Raise your own Petz Dogz Family —Breed and cross-breed your own unique pets, nurture your dogz from baby to adult as you watch them grow, and influence personalities by the way you raise your petz. Watch your dog play with other dogz —Let your dogz play together and watch them interact, or set up play dates with your friends wirelessly and exchange dogz! Petz Dogz Family for the Sony PSP is pretty much like the Petz Dogz Pack for the Nintendo DS, so I know the kids would love it. The only problem is that we can't find it! It's like some kind of lost breed of videogame! So pleeez, Ubisoft, if you've stopped making Petz Dogz Family for PSP, re-release it, or come up with some new Petz games for the PSP, because there are a lot of PSP families waiting to adopt and cuddle these cute pets! Unfortunately I don't have a copy of Petz Dogz Family for the PSP (and I if did, I'm really sorry but I'd have to keep it for my kids!) 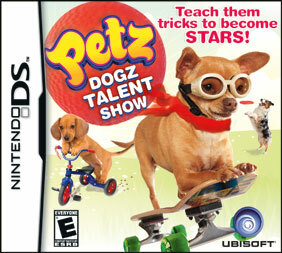 but I do have a copy of Petz Dogz Talent Show for the Nintendo DS, and I'm giving it away to one lucky Bonggamom Finds reader! Leave a comment on this post and tell me which of the Ubisoft Petz line of games is your favorite, and really ought to be available on the PSP platform! 2) Follow @ubimoms on Twitter (1 entry). 3) Follow @ubisoft on Twitter (1 entry). This giveaway ends at midnight PST on July 20, 2010; I will draw a winner at random on July 21. I will post the winner's names in the comments section after he/she confirms acceptance. For additional giveaway rules, click here. Good luck! Disclosure: I did not receive a sample or monetary compensation for this post. I received a product sample, but was not paid to review the product or give my opinions. Unless clearly stated, the views and opinions expressed here are my own. My family and I have been enjoying Tropicana's Juicy Rewards for a while, and now that summer is here we need those Juicy savings more than ever. I've signed the kids up for one week of camp and we're traveling for five weeks, but we've still got all the rest of the summer to fill up with fun things to do. I love scheduling day trips to museums, parks and amusement centers, so every little discount helps. 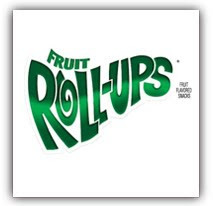 Juicy Rewards is a great program from Tropicana that helps you save on the stuff your family loves to do, just by buying stuff your family already loves -- orange juice. Each specially marked carton of Tropicana Pure Premium or Trop50 has a special code that you enter online to get Juicy Reward Points. You can redeem Juicy Reward Points for discounts on fun activities and gear (for more information, check out the Juicy Rewards official site). As a BlogHer Juicy Insider, I get to try out some of the activities that you can redeem discounts for, and tell you all about it. Click here to read more about our latest fun day trip, courtesy of Tropicana's Juicy Rewards Program -- and enter to win a $50 Visa gift card! Which PSP games would you get if you had a PSP? Any comment you leave here counts as an extra entry into my $50 PlayStation Network gift card giveaway! 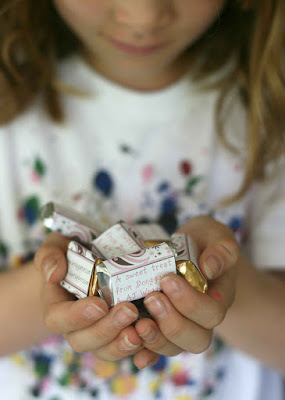 I'm so excited to announce that AJ Wrappers has become one of my in-kind sponsors for BlogHer 2010! When I reviewed their Baby Sushi Socks gift item a couple of months back, I fell in love with their products and the personalized service of the brand's hardworking owner, Alice. You can check out the AJ Wrappers online store, Facebook page, and Twitter feed for their latest products and deals. My favorite products are the affordable Onesie Lollipops, the new Onesie Sundaes, and of course the adorable Sushi Socks, but for BlogHer, I thought AJ and I could do something unique -- offer customized chocolates with both our names on them. 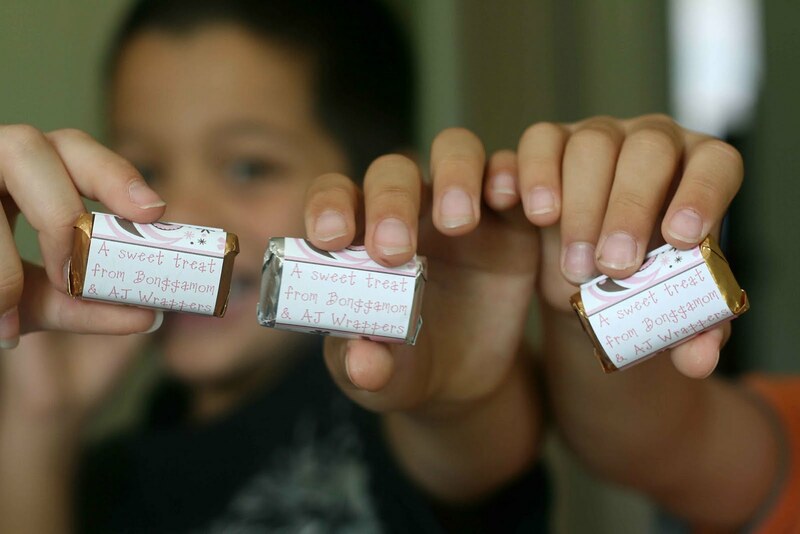 AJ created miniature chocolate labels that say "A sweet treat from Bonggamom & AJ Wrappers" on the front, and have our web addresses printed on the back. The labels have a chic paisley print design all around them, in my favorite color combination, pink and brown. They are adorable! AJ sent me a design proof via email almost immediately after I ordered the labels, and they arrived at my house within a week. They contained instructions on how to attach the labels to the chocolates (Hershey's Miniatures, which I purchased at the drugstore). The labels are the perfect size -- they wrap easily around the chocolates and completely hide the Hershey's Miniatures label, and they hold steady when you secure them with double sided tape. For some reason the font was a bit pixelated and came out looking like they had been printed on a home computer, but I have no complaints with the paisley design: the lines and curves are sharp, and the colors are solid. I think they will make a unique statement when I attach them to my BlogHer business card. Thanks, AJ Wrappers, for providing these charming little personalized candy wrappers! BlogHer attendees -- if you see me at this year's conference, you'll be in for a sweet treat -- not only will you be able to meet a totally awesome gal :) , you'll also get a nice chocolate pick-me-up when we exchange business cards. So look out for me at BlogHer and don't be afraid to say hi! Disclosure: I received complimentary customized labels from AJ Wrappers, but was not paid to review the product or give my opinions. I am footing the cost of the chocolates. Product information is provided by the featured company/product and is clearly indicated as such. The views and opinions expressed here are my own. 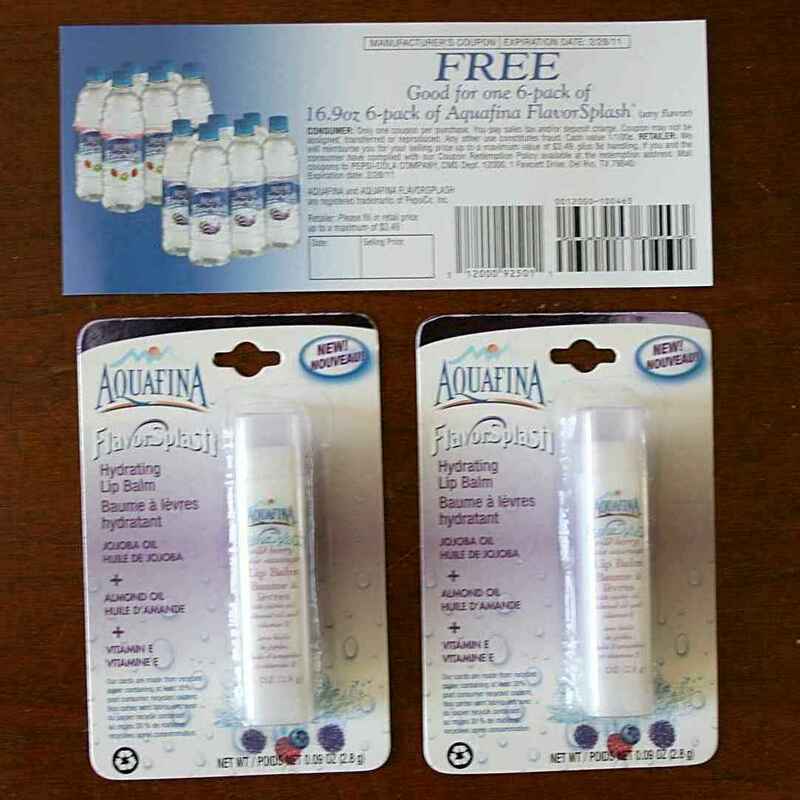 Last week was a sad one for all Aquafina FlavorSplash Moms -- we received our last sample of Aquafina FlavorSplash flavored water! We've had a great 6 weeks of hydration and health and cool, yummy Aquafina Flavors, and I wanted to thank Aquafina and MomCentral for making it all happen. The last flavor we received is Peach Mango, which we had never tried before, but now The Pea says it's her favorite flavor. I can see why; mango is my absolute favorite fruit in the whole wide world, and Aquafina does a decent job of capturing that tropical tang. I find it rather sweet, more like juice than flavored water, so I'm going to stick to my Aquafina FlavorSplash in Lemon or Grape, but I'm happy to get some Peach Mango for The Pea to enjoy all by herself. It's going to be a long, hot summer and we'll be drinking Aquafina the whole time! Since Peach Mango is a tropical(-ish) flavor, I'm giving this post a tropical flavor of its own by showing off this old video of The Pea and her cousin dancing the hula at my grandmother's 88th birthday. They were a big hit, and at some point they even got their own grandmother (my mom) and her sisters to come up on stage and dance with them! Leave a comment on this post with a tropical fruit you've never eaten before, but would love to try. This entry must be completed before extra entries qualify. This giveaway ends at midnight PST on July 25, 2010; I will draw 2 winners at random on July 26 and post the winners' names after they confirm acceptance. For additional giveaway rules, click here. Good luck! Did you know that June 26 is the Great American Backyard Campout? The National Wildlife Federation is encouraging everyone to get outside and spend the night under the stars, whether it's in a campground, back yard or even an outdoor porch. It's a wonderful way to promote a happy, healthy childhood for your kids, connect with one another in the great outdoors and create lasting memories. I've already marked this event on my calendar, but first I have to pull out all our gear and make sure we're ready, not just for June 26, but for an entire summer of camping and outdoor adventure. We've got a tent and sleeping bags, but not much in the way of fun tools and gadgets for the kids, so being invited to review some products from Backyard Safari Outfitters (courtesy of Child's Play and Team Mom) could not have come at a more welcome time. Backyard Safari Outfitters (BYSO) makes outdoor and nature gear for kids. They are made by award-winning toy company Summit Toys, and can be found at major retailers like Toys R Us, Wal-Mart, Barnes & Noble, Amazon.com and Target. Backyard Safari Outfitters equips young explorers with all the essential field gear they could possibly need for scoping out local "wildlife", from insects in the grass to birds in the sky to frogs in a pond -- and more! Kids can choose from a broad array of fun gear and tools, including the practical and very snappy looking Cargo Vest, as well as the cool Bug Vacuum, and Mega View Periscope -- among dozens of other choices. To heighten that adventure and peak kids' interest in science, each Backyard Safari Outfitters kit includes a detailed Pop-Up Field Guide small enough to fit neatly into any pocket. This handy guide is full of rich illustrations and information for every subject related to outdoor and nature exploration, such as Field Communication, the Solar System, Butterflies, Fossils and Beetles. 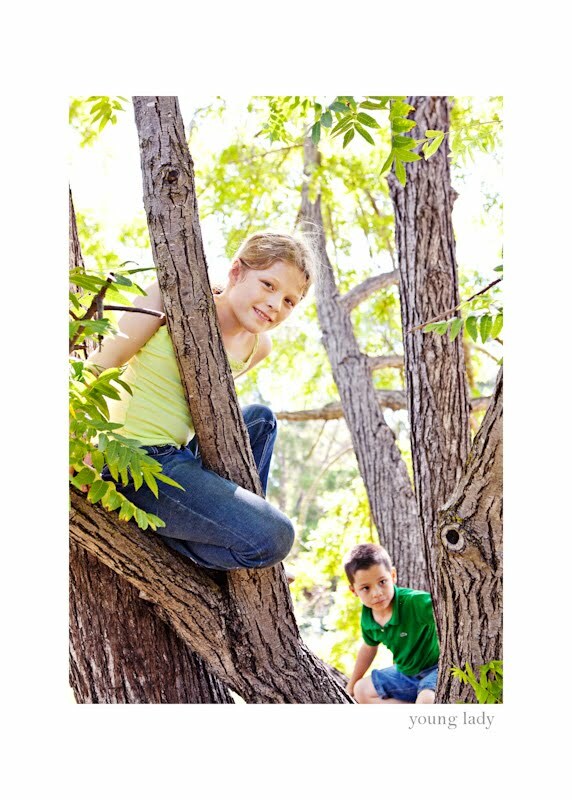 Backyard Safari Outfitters encourages children to get active, play outside and explore nature -- "nature play" is a whole new category of fun for future outdoor enthusiasts! We've got quite a collection of BYSO gear now: I received the Cargo Vest, the Bug Vacuum and the Mega View Periscope to review, and I was also given the Dual Power Flashlight and the Adventurer Kit at the Child's Play Blogger's Brunch last spring. And we love it all! I think they're such a great kids' product that I've even purchased some BYSO products to give to my kids' friends as birthday presents. * They're affordable. 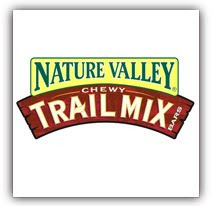 With the exception of the $45 Bug Habitat, these products are priced at $25 and under, with most in the $10-$20 range. With BYSO, parents can buy outdoor equipment for their kids without paying the high prices in outdoor adventure stores. * They're inspire a love of nature. We haven't even gone camping yet this year, and my kids are already excited to get into the Great Outdoors, thanks to their BYSO gear. They love going hunting for bugs with the Bug Vacuum -- to be honest, I expected this one to be a dud, but I was so wrong! Contrary to my expectations, the vacuum is actually strong enough to pull insects into the chamber, where you can lock them in and observe them through a magnifying glass. I guess I underestimated kids' fascination with creepy crawlies, and I'm happy to eat my words (as long as I don't have to eat the bugs). * They're fun. All the educational value in the world is useless if kids aren't interested. BYSO gear is stuff kids want to play with and use! As soon as he saw the Cargo Vest, 3Po took his dad's bush hat and began playing Indiana Jones. Same goes for the periscope; all of a sudden our house was filled with spies peeking around corners and over sofas. The BYSO Pop-Up Field Guide is a great idea (and I love how it unfolds and "pops up"), but half of it is devoted to showcasing the BYSO product line. Each BYSO kit comes with a Field Guide, but it's always the same one. It would be great if there were several versions of the guide that delved a little more into detail on certain nature topics, so that kids could collect the entire set. 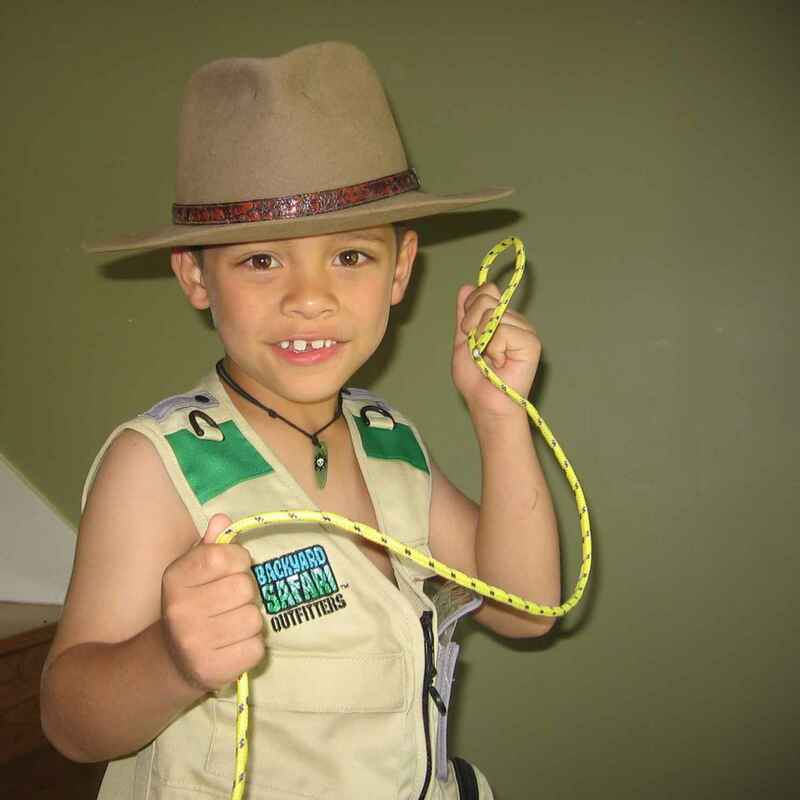 Backyard Safari Outfitters are not just toys. 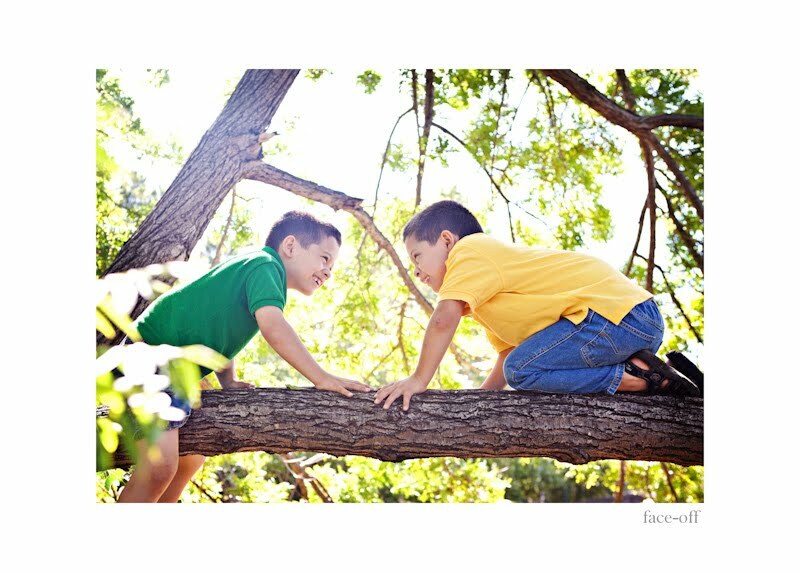 They are rugged, fully functional pieces of equipment that gets kids excited about being outdoors and exploring nature. Don't start your summer adventures without them! Disclosure: I received a selection of product samples courtesy of Backyard Safari Outfitters and Team Mom, but was not paid to review the product or give my opinions. Product information is provided by the featured company/product and is clearly indicated as such. The views and opinions expressed here are my own. My kids have been playing with their new PSP for several weeks now -- at home, in the car, at the airport, on vacation -- so as a participant of Sony's PSP Summer Family Fun program I think it's time I did a review of the PSP and shared with everyone what we think of this device. I think we've only just begun to scratch the surface -- we haven't even gotten into multiplayer games, WiFi connectivity, TiVoToGO and other cool features. But so far, we like what we see! * Watch movies (you download the movies from the PlayStation Store; you can rent or own the movies). * Access internet radio stations over a WiFi connection. * Listen to music that you download from your computer or the PS3. * Store and view photos, create slideshows from them and share them over a WiFi connnection. * Store and view home digital videos. * Watch your Tivo'd shows. * Stream and watch live TV with Location Free TV. 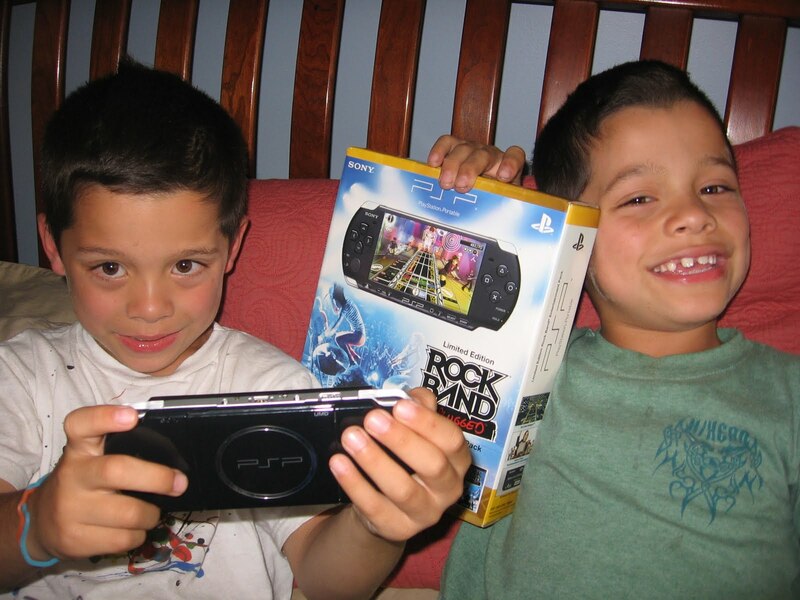 My kids are loving the PSP! They're having so much fun playing the games we received -- Tetris, Rock Band, and more. I've already bought them Shaun White's snowboarding game for the PSP and they're eager to collect more! * The display is huuuuuge -- it's like the big-screen tv of portable videogames. * The graphics are clear and crisp, no pixelation whatsoever. * You can download a significant amount of content from the web and from your computer directly onto the PSP, versus having to buy a physical product that you plug into the PSP. * The available games for the PSP are for older teenage boys. I wish they had more puzzle games or games with an educational slant, as well as more games geared for girls. * I wish the game cartridges were compatible with the PS3. * I find the game controls way too complicated and confusing. Buttons with x'es and o's, buttons with triangles and squares, more buttons on the sides and corners.... and some buttons differ in function with every game! Give me a touchscreen already! The Playstation Portable by Sony more than just a videogame console! It's truly a one-stop, on-the-go entertainment system that will keep your kids amused for hours while you're out and about this summer. Do you have a PSP? Do you want one? Do you have any feedback about the PSP to share? Any comment you leave here counts as an extra entry into my $50 PlayStation Network gift card giveaway! Last month I posted some tips for throwing a Fancy Nancy tea party as part of Harper Collins' and TwitterMoms' Reading Channel launch. 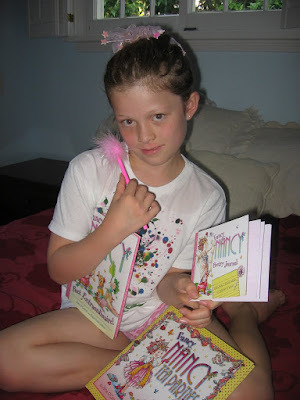 As a thank-you, they sent us a Fancy Nancy gift pack consisting of 2 books (Fancy Nancy Tea Parties and Fancy Nancy Poet Extraordinaire) , a couple of Fancy Nancy poet journals, and a fancy pink feather pen. The Pea loved it! Tea Parties contains all kinds of tips from Fancy Nancy herself on how to throw the perfect fancy tea party, complete with games, centerpieces, recipes and tear-out recipe cards. Poet Extraordinaire retells Nancy's quest for the perfect poem and is sure to be an inspiration for little girls who want to try their hand at some poetry. Both books contain the classic Fancy Nancy illustrations that little girls love, complete with swirls and glitter on the cover jacket! It's a great package -- thanks, Harper Collins and TwitterMoms! Disclosure: I received a product sample as a thank-you for a previous post, but was not paid to review the product or give my opinions. Product information is provided by the featured company/product and is clearly indicated as such. The views and opinions expressed here are my own. I've been a big Activeion fan ever since I first tried the Activeion Pro a year ago. I love their lean, green cleaning machines because they use cutting-edge technology to give homeowners a chemical-free, kid-safe, eco-friendly way to clean that actually works better than any chemical sprays I've tried. My love affair deepened when they sent me an Ionator HOM, which is smaller, lighter and even better at cleaning germs. When our ActiveIon PRO developed a green film inside the water tank, ActiveIon promptly responded with some great tips for keeping our unit fresh and clean. I've always known that Activeion has a great product and great service. And now I know exactly how great. Several weeks ago, 3Po was clowning around in the kitchen and accidentally knocked our Activeion Pro from our kitchen counter onto the floor. As soon as I heard the THUD I knew it was doomed. Sure enough, when I picked it up and tried to spray it, nothing happened. The impact was so great that it had knocked out one of the screws holding the unit together and dislodged something inside so badly that it rattled when we shook it. When 3Po saw what he had done, he actually burst into tears. 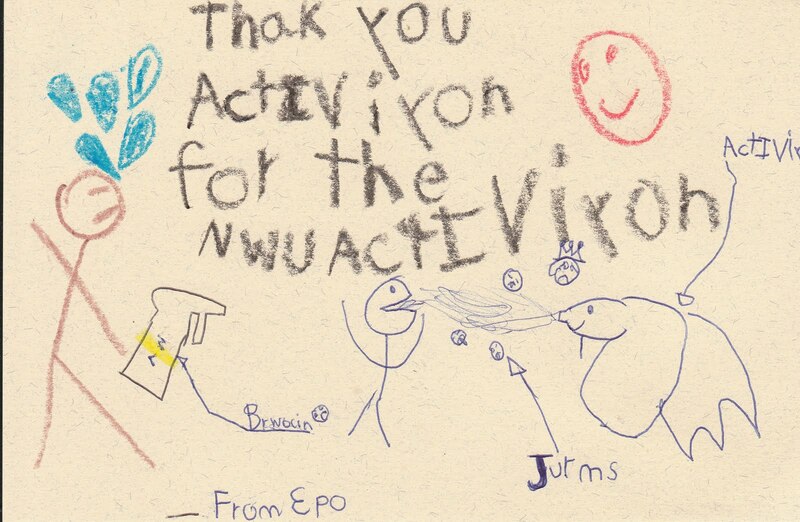 All the kids love our Activeion, love spraying it into their faces (yes, it's safe!) and using it to clean up their sticky spills. And 3Po knows how much I love using it too. To tell you the truth, I felt like crying too (and 3Po must have seen my face, hence his reaction). I've come to rely on the ActiveIon to clean everything, and the thought that we wouldn't be able to use it to clean anymore was awful. After I did my best to comfort 3Po (and myself), I took a deep breath and started thinking about how I could get the unit fixed. I turned to Activeion's Facebook Page and asked if they could recommend a place where we could get it fixed. I was hoping they would tell me that I could mail it to them and pay a service fee to have it repaired. I certainly wasn't expecting the unit to withstand that kind of impact and was fully prepared to pay whatever it took to get my Activeion back, or buy a new one if it cost too much to fix. We replace. No Questions Asked. I felt like crying all over again. No company could stand behind their brand and their customers any more than Activeion has done in this case. I was given Todd's direct number and was contacted directly by Todd via email and phone. Within a week, a new Ionator HOM was on its way. When we received it, 3Po was once again his smiling, sunny self. 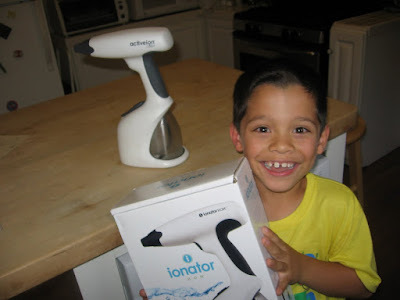 The Ionator HOM is actually an improvement on the one we broke, since it's the next-generation product with enhanced cleaning and sanitizing capabilities, so we couldn't be happier. We'll be mailing the broken unit back to them so they can diagnose what broke (maybe figure out how to make it sturdier? ), and recycle or reuse the components. 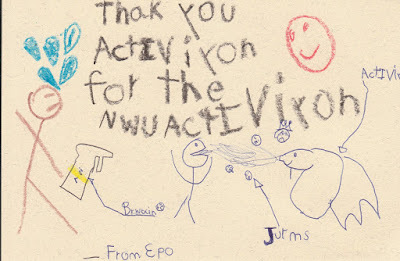 (In case you can't see the words or figure out 3Po's original spelling , the card reads "Thank you Activeion for the new Activeion -- From 3Po". On the left side is 3Po crying with the broken, taped-up unit, and on the right side is the new Ionator HOM, complete with superhero cape, killing Jurms germs and spraying a happy 3Po in the mouth). My own thank-you card is not as cute, so I didn't bother scanning it. But the gratitude I'm feeling is just as sincere as 3Po's happy face drawings. THANK YOU, Activeion, for your prompt and generous response. Thank you Todd and the whole customer service department of Activeion for making a little boy happy again and giving his mother and family another lifetime of safe cleaning!!!! 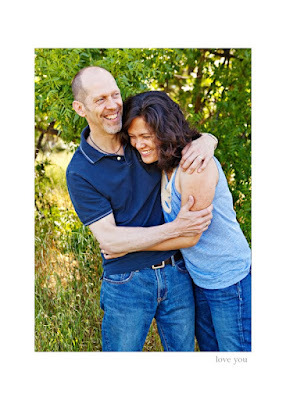 Disclosure: I did not receive a sample or monetary compensation for this post -- ActiveIon did a nice thing for me, unprompted, so I wrote this post to thank them, unprompted. The views and opinions expressed here are my own.